As we continue our study of Romans, we come to verse 4 of chapter 1. 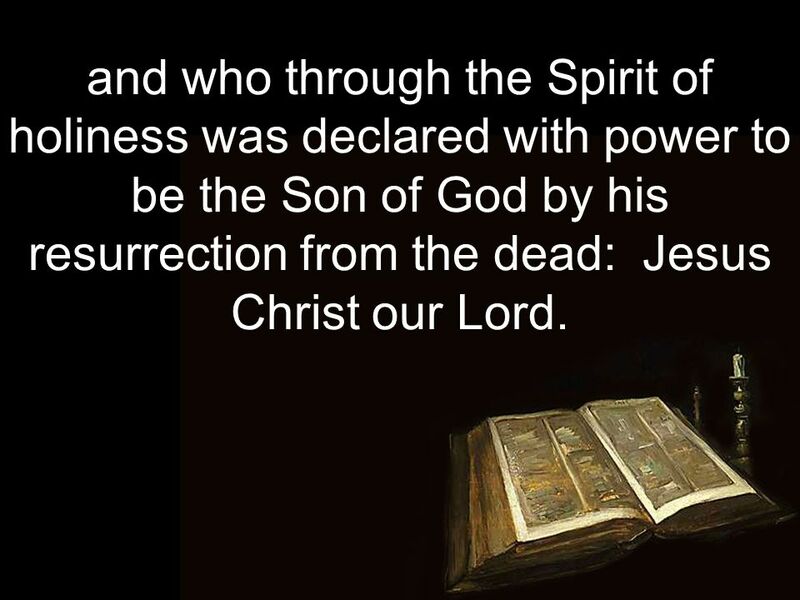 Jesus is declared the Son of God by virtue of His resurrection from the dead. Don’t just skip on by that statement. It is the resurrection of Jesus that definitively declares that He is the Son of the Living God. Paul goes into deeper detail in 1 Corinthians 15 about the significance of the resurrection. it is not too crass to say, without the resurrection, Christianity is a waste of time! In fact, Paul says exactly that – without the resurrection – there is no salvation for anyone. It is the power of the Holy Spirit who gives us live – new life (Romans 6:4) – and raises Christ to life. He guided Christ’s ministry and gives us the capacity to overcome sin. This verse reveals to us the two states of Jesus. Similar to how verse 3 shows the two natures of Jesus – Divine and human – verse 4 show His two states. Actually, He has existed in three states. Meaning simply that Jesus existed in eternity before creation as the Logos, the Second Person of the Trinity (John 1:1-3,14; 17:1-5). This was His first state of existence – eternal. His second state of existence – called the humiliation – is when He came down to earth and took on flesh. Here, He existed as fully/truly man and fully/truly God. In this state – His humanity – He kept the law perfectly. His third state – called the exaltation – is His glorification (in body and position) back to the right hand of the Father. Now (from His resurrection forward) He exists in a glorified body and is exalted to the highest place in all of creation. This is just one of the points Paul makes in this verse. It has been said that the first seven verses of Romans encapsulate the rest of the 16 chapters of the book. There is so much deep and rich meaning in these verses, it’s hard to move through them. This is the reason we have spent so much time already just discussing this single sentence. As we move forward, you will begin to understand better the message Paul is straining to communicate. And in the process, your life will change.